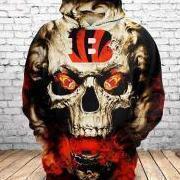 Gremzz - Go-Bengals.com - The Best Bengals Fan Community in the World! Looking forward to the chat. Will be important for Gio to get a few decent runs with his early touches. Might well set the tone for the rest of the game. Hey guys, I'll be flying over from Australia to catch the Raiders game in December and was wondering if anyone had an assistance in which tickets/sections I should be looking at purchasing and advice on what to do pre/post game. Any help would be greatly appreciated. Cheers guys! I wonder what Uber Eats Marvin and Bullock have ordered for halftime. I'll hang out in the chat today. Nice idea gupps! Day 2 Draft Discussion, who should we target? True, it looks like the depth in the next few rounds on defense could well be the way to go, just intrigued. If, and it's a big IF, James Daniels is available at #46 and Hernandez is not do you take him and plug Price in at Guard? I usually lurk more than post these days simply for time constraints but being an Australian Bengals fan for 20 years I'm not going anywhere any time soon. Not even feeling rantish but there is an underwhelming confusion aspect going through my brain currently. Yeah, Ima just go for Not-Stealers and Not-Ratbirds. The good sign out of today game is? Probably only 3 weeks until we see McCarron starting? I wonder how many avocados she received. Dobbs is the worst guy ever. I've hated him for as long as I can remember. I despise you Josh Dobbs so very very much. Glad to get Lawson. Now go get some OLine and LB help. Plenty of people have turned an indecent act on their behalf into something that can better them. I'll never condone what he did but I don't think it's my place to forever condemn him either. How about instead of labeling and branding people as repeat offenders we actually give them a chance to not only better themselves but perhaps better others and/or raise awareness on how serious the situation is. If he does anything of that nature again then we can all eat crow and burn his house down or whatever but until then how about we give the guy a chance?